This welcoming hotel is a firm favourite with our guests. 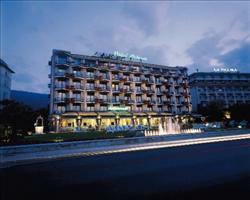 The hotel is situated in the centre of Stresa, close to the shops and the main lake ferry terminal. It offers a professional level of service, highly praised cuisine and some fine lake views. 85. All have bath or shower, hairdryer, satellite TV, radio, phone and air conditioning during high season. Some rooms also have balcony and lake view. All lake view rooms have bath. Buffet breakfast. At least 3 choices of first and main course at dinner followed by cheese and dessert trollies. Dinner: • Dinner service: Waiter • Dress Code: informal no shorts • Dinner - no of courses: 3 • Choice of Menu: choice of first and main courses followed by cheese and desert trollies. 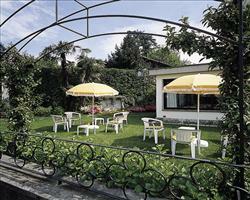 We update Milan au Lac Hotel's details often, but facilities do change. e.g. some extras listed by the supplier as "free" or included might only be for the first time you use them, or for one time per party, then charged for further use. If any specific feature is essential to your holiday, make sure you ask us to confirm the details of it before you book your holiday. This package holiday to Milan au Lac Hotel in Stresa, Italy departs Wednesday 7th August 2019, for a 3 night stay on a "half board" board basis. A local tourist tax (Taxe de Sejour or Kurtaxe) is levied by many councils in European resorts. It varies by standard and type of accommodation and is age dependent, so not everyone is charged. It's not included in the basic price of your holiday and is usually paid locally. For reference, the average charged in winter 15/16 was between 50p and £2 per person, per night. Lido La Perla Ner... Stresa Italy, Folkestone Ferry 7th August. 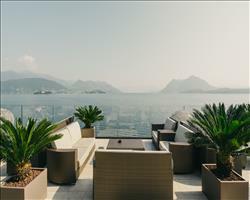 Bristol Grand Hotel Stresa Italy, Folkestone Ferry 7th August. 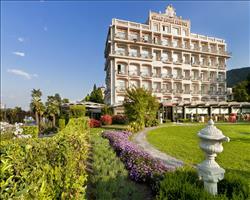 Astoria Hotel Stresa Italy, Folkestone Ferry 7th August. 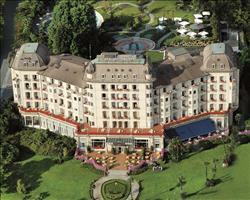 Regina Palace Hotel Stresa Italy, Folkestone Ferry 7th August. La Palma Hotel Stresa Italy, Folkestone Ferry 7th August.